Opposite the main shop in Chatel we have created a unique area dedicated to boot fitting and are proud to be recognized as an accredited “Sidas Expert Store”. Here in the “BootLab” we offer a large range of the latest ski boots and, with a pre booked rendezvous, all the time you need with our experts to analyse your feet, discuss your needs and find the right boot for you. There is no better way to buy a pair of ski boots. 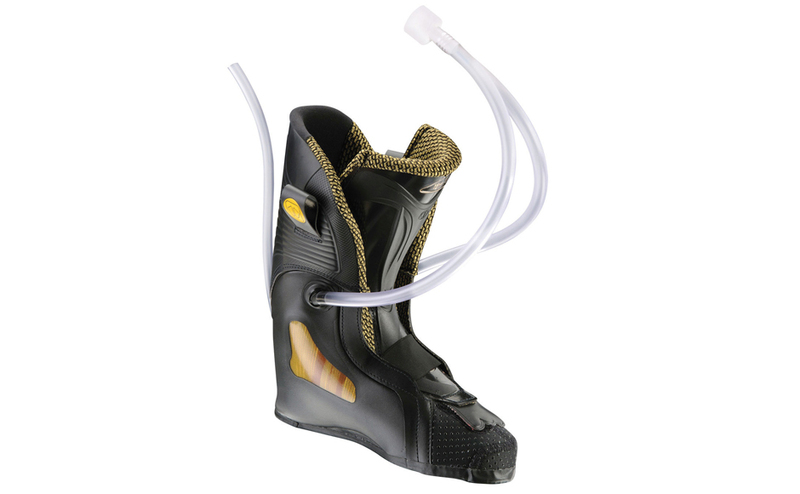 Within the Boot Lab we also offer a wide range of services and products to improve the comfort and performance of an existing pair of ski boots. Plus our Boot Lab facility is not just for winter sports, we stock a range of very specific soles from our preferred supplier Conformable for many other sports and activities including running, hiking and trekking, football, golf, rugby and cycling. After more than 25 years of selling and fitting ski boots we know that time is the most important factor. 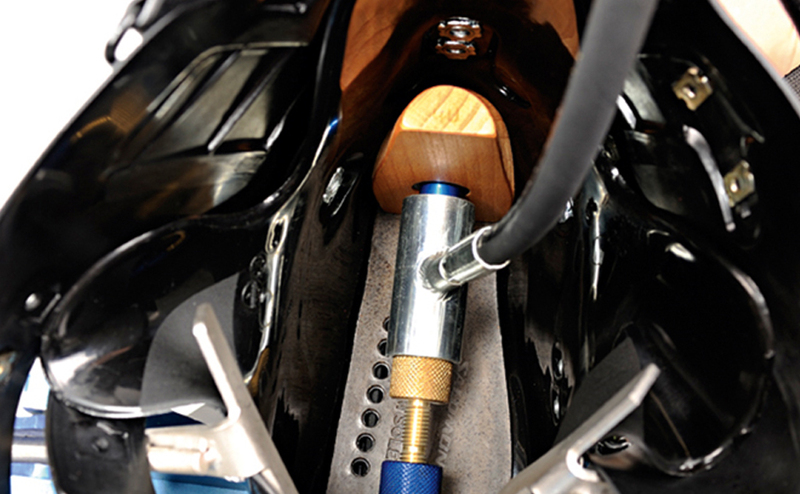 We take the time to study your foot, discuss your needs and fit correctly the best boot for you. Everyone’s foot is different and we don’t expect a boot to fit off the shelf. We have the skills, knowledge and equipment to get it right for you. If you are looking for a new pair of ski boots or to improve the comfort and performance of an existing pair, book an appointment in the “BootLab” with one of our technicians. The “Path” to Comfort and Performance. With analysis of your feet and lower leg we can start to build a picture of what shell shape and volume will suit you best. In discussion with the expert you can tell them of your current skiing level, what you enjoy skiing and what you wish to attain in the future. Once we have this basic picture we can select shells to try against your foot to confirm the performance and comfort fit. Then, with the same criteria in mind, choose which boot liner would be best suited to your skiing. Now we can start to personalise these elements. The shell can be altered by heating and shaping, or by grinding the internal surface so it accommodates your foot profile. The inner boot is moulded or injected to create the close but comfortable fit you need. The addition of a personalised innersole will add to your comfort during skiing and to the performance attained from the boots. A correctly supported foot will be less tense, more effective in transmission of energy and signals to your skis, giving you greater control, performance and comfort. 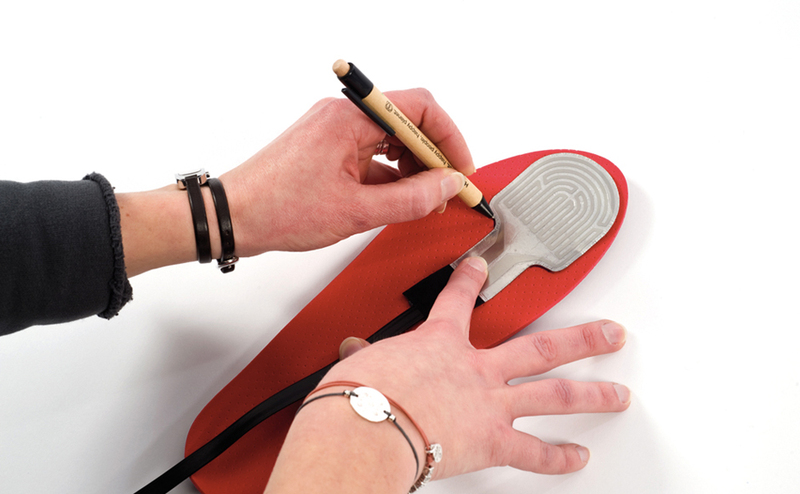 We stock a large range of very specific soles and will advise on the choices available. Then we shape and mould them to your feet using advanced precision equipment and methods before fitting them to your boots. This personalised pair of boots can be made luxurious with the addition of heating elements to warm your toes on the coldest days. With this “Path” almost complete, it remains for you to ski in your new boots and give us some feedback so any issues can be addressed whilst you are still in resort. The “Path” finishes when you are satisfied with your boots, …. this is our guarantee. If you would like to reserve some time with one of our technicians then please fill in the following enquiry form, telling us when you are in the resort and we will reply to you with a proposed date and time.